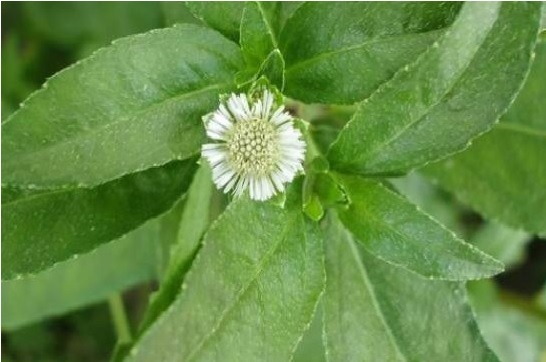 Bhringraj, or Eclipta Alba is a popular herb that is known for its medicinal benefits. Bhringraj has so many benefits for the hair, that in hair care products too this herb is used extensively. 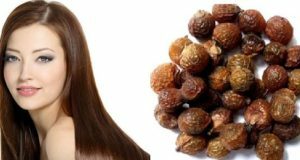 Bhringraj oil and bhringraj powder both are used for hair care mainly when the hair fall are hair loss conditions are seen. This miraculous herb is also used widely for the Ayurevdic remedies. It is enriched with essential vitamins and minerals that boost hair growth and stimulates blood circulation. 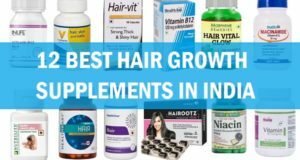 Why Bhringraj is beneficial for Hair? Bhringraj is very effective on dry and dull hair as it will deeply nourish the hair. 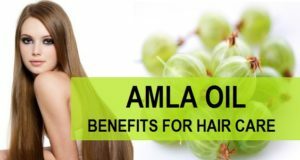 It also improves blood circulation on the scalp which also gives relief in the hair fall and stimulates the scalp for new hair growth. 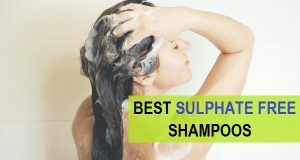 It is also beneficial in the infections like dandruff and controlling parasites like lice. With the help of bhrinraj, you can achieve shiny and soft hair. This medicine controls hair fall and hair loss very quickly when used regularly. It is also known that bhringraj gives relief from headache and migraine. Moreover, this herb also prevents baldness and premature hair graying. 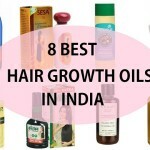 Below are the basic remedies that includes bhringraj and other natural products to cure the hair fall and hair loss problems. 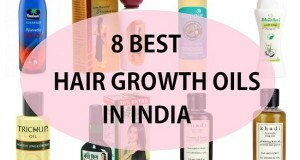 Hair oiling is very essential for the health of your hair. Oiling with bhringraj oil gives nourishment and deeply conditions your hair and roots. 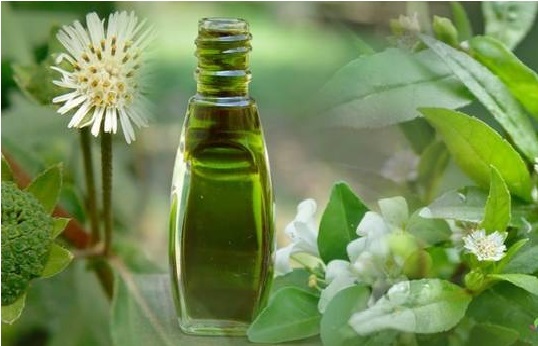 It supplies, vitamins and anti-oxidants contained in the oil in the hair. So to avoid major hair loss and early hair graying, you can try bhringraj oil, which reduces hair loss and dryness. 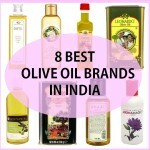 Oils like almond oil and olive oil are helpful in getting rid of hair loss and poor hair health. You can either make bhringraj oil with coconut oil at home or just buy the bhringraj oil from the stores. 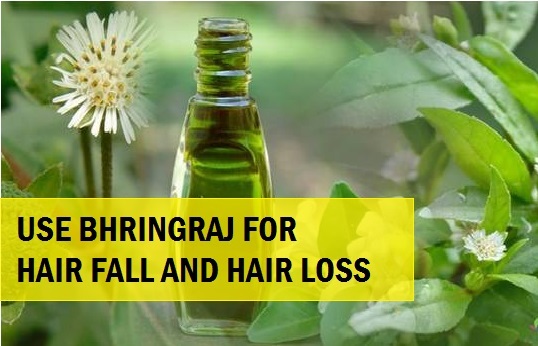 How to make Bhringraj hair oil? Take half cup of bhringraj leaves. Heat a pan and add 1 cup of coconut oil. When the oil get warm, add those leaves in that oil. Let this get boiled. This will also help the bhringraj leaves give their extracts into the coconut oil. Boil for 4-5 minutes more and then stop boiling. Let the oil get cool down. Then mash the leaves with fingers and strain the oil. This strained oil is our bhringraj coconut oil. At night, section your hair into two partitions. Massage the hair oil onto the scalp for a few minutes. Now follow it to the ends and tips. Do not forget to use a hair conditioner at the end. You can avoid hair loss with the help of this wonderful hair pack. It includes yoghurt, black pepper and bhringraj leaves. As we know how bhringraj is helpful in stopping the recurrence of hair fall and hair damage. 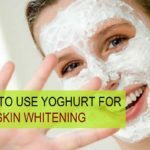 Yoghurt contains essential fatty acids and vitamins like vitamin-C and vitamin-A. Black pepper induces black hair color and gives relief in itching and dandruff. However, it also makes your hair strong and shiny. Take 1 full cup of fresh yoghurt in a bowl. Whisk it well so that no lumps are found. Also take 20-30 bhringraj leaves and wash them. Now grind them in a grinder by adding little water and make a thick paste. Add it in the same bowl. Now add a half tablespoon of crushed black pepper in this pack. Mix all the things well and now it is ready to use. Comb your hair properly and make them tangle free. Take a hair brush and apply this hair pack on the roots and scalp evenly. Now follow your hair tips and ends. Keep it for 25 minutes. Take 1/2 cup of bhringraj leaves and grind them in the grinder along with some water. Add ½ cup of curd or yoghurt in that. Rinse the hair after 2 hours. 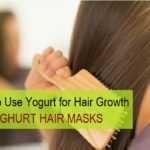 Yoghurt induces new hair and minimizes the excessive hair fall. Bhringraj and Lemon are excellent to treat the hair loss due to dandruff and itchy scalp. Add 2 teaspoonful of lemon juice. Also add 1 egg and beat the mixture well to mix everything well. Use this pack on the hair and scalp. Keep for 2 hours. Wash with cold water and a mild shampoo afterwards. Try this 2 times in a week for hair fall and hair loss in men and women. Soak ¼ cup of fenugreek seeds in a bowl of water at night. Next day take that fenugreek seeds along with ¼ cup of bhringraj powder or leaves. Grind this with some water. You will get a paste. In that paste add 2-3 teaspoonful of yoghurt. Mix and apply on the hair and scalp. Try this once in a week. 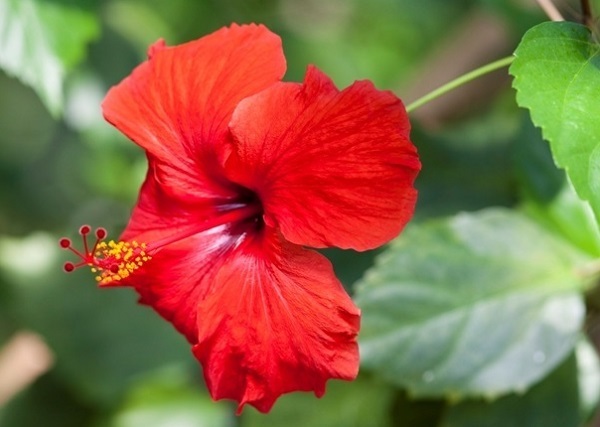 Take bhringraj leaves around ¼ cup and hibiscus flowers around 10-12. Put them in the grinder and using some water grind them. Add some curd too in this paste. Use as a hair mask and wait for 1-2 hours. Wash after that with plain water. Take ½ cup of curry leaves and ½ cup of bhringraj leaves or powder if leaves of bhringraj are not available. Grind them to get a paste. Use this paste on scalp for 1 hour. Wash the hair with tepid water. Take 2-3 teaspoonful of coconut oil and ¼ cup of onion juice. In that add 4-5 teaspoonful of bhringraj oil. Mix and massage this oil on the scalp. Keep this at least for 2-3 hours then wash off with mild shampoo. 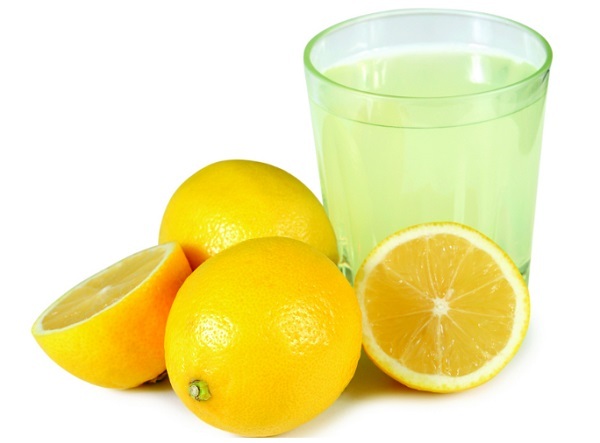 If the smell of onion juice stays then use some lemon juice water to give the hair a last rinse. Take 3 teaspoonful of bhringraj powder and amla powder each. Mix them using some water or some coconut water. Apply and massage on the scalp. Wash the hair with plain water. Repeat twice in a week for good results in hair fall and in treating the bald patches due to alopecia. Bhringraj is an amazing product that can certainly help you combating the hair problems. You can also read our beauty tips section where you can learn about tips on hair care and skin care.